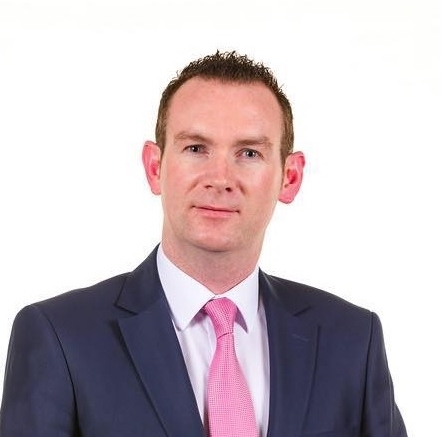 THOMAS WALSH is running for election for the first time with Fine Gael. He said: “Drawing from my longstanding commitment and my record of voluntary work in support of community development projects over many years, as a county councillor, I will have a better platform to expand the areas where we work together and have more power to direct policy in areas that will improve the opportunities for everyone in Sligo. Thomas Walsh’s role in local campaigns he feels show his determination. “I have a never-give-up attitude and don’t buy into the negative style campaigning we see currently in local politics. My agenda is clear. Let’s grow Sligo into a better place to live and work together. I have a strong record of project delivery over the past four years. For example, I was the co-ordinator of the successful Save Ballygawley Post Office Campaign, I obtained €45,000 for a new soccer field in Ballygawley which will open early next year, €17,000 for a new community conference facility in Ballintogher, funding for a pedestrian access in place from Kingsfort to Ballintogher Village, successfully lobbied for new classrooms in Coola Post Primary, St Teresa’s NS in Ballintogher and Scoil Mhuire agus Iosaf in Collooney, obtained Clar funding for defibrillators for Union and Bloomfield to name but a few. I will continue to work with the community and voluntary sector to support improvements in infrastructure and deliver funding for capital projects to improve people’s lives in their community settings across Sligo,” he said. Mr Walsh wants to see improvements in Sligo’s tourism offering and also development of Sligo’s health services. “I am an advocate for the strategic development of tourism initiatives, including the enhancement and further commissioning of walkways and cycleways throughout our area. I will continue to lobby for the provision of a cath lab and the further development and expansion of services at Sligo University Hospital. I am committed to fighting for the retention of St Marys College in Ballisodare to ensure the community’s strategic plan for the school is given a fair chance to succeed,” he explained. Thomas Walsh believes that passion coupled with his experience is a reason to vote for him. “I have the experience, passion and drive to represent you. I ask you for your number one vote or highest preference on May 24,” he said.